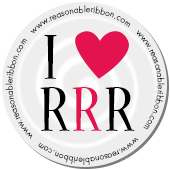 Really Reasonable Ribbon Blog: Thanks! Hello everyone and Happy Saturday to all! Today's card was created for Really Reasonable Ribbon using beautiful Polka Dot Satin, Sweetheart Blossoms, Embellishments, and Foam Squares. Love this Red Polka Dot Ribbon as it makes for super easy and fun bows! I used an old design paper 6 x 6 pad, and then made a few layers using red card stock to mat each layer. Next I used Cheery Lynn dies for the doily. My sentiment is from The Project Bin stamps, and stamped in black ink. Next I chose to use Sweetheart Blossoms and some branches for my floral arrangement under the sentiment. My bow was created using the Satin Polka dots, and then I used a Really Reasonable Ribbon Flower Embellishment for the center. The layers were popped up using RRR Foam Squares. My card was super fun to make, and I really enjoyed sharing it today with you all! Thank you for looking and have a lovely weekend!